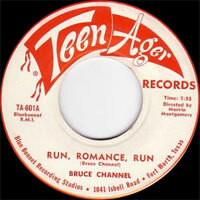 Chanteur Rock 'n' Roll US né Bruce McMeans, le 28 Novembre à 1940 à Jacksonville (Texas). 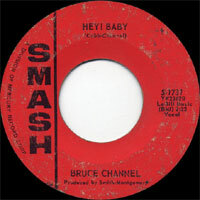 Bruce Channel's "Hey Baby" — a classic one-shot, number-one hit from 1962 — is one of the many records proving that, during a period in which rock has sometimes been characterized as near death, the form was continuing to evolve in unexpected and delightful ways. 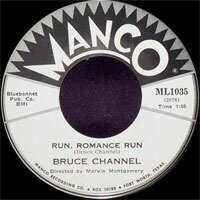 An irresistible mid-tempo shuffle from the first few bars of homespun harmonica (played by Delbert McClinton), it was a seemingly effortless blend of rock, blues, country, and Cajun beats, featuring Channel's lazy, drawling Vocalss and an instantly catchy tune. 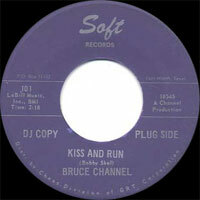 It was perhaps too much of a natural; Channel could never recapture the organic spontaneity of the track, failing to re-enter the Top 40 despite many attempts. 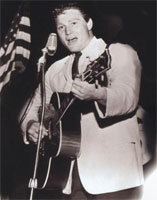 The Texan had written "Hey Baby" around 1959 with his friend Margaret Cobb, and had already been performing the tune for a couple of years before recording it amidst a series of demos for Fort Worth producer Major Bill Smith. 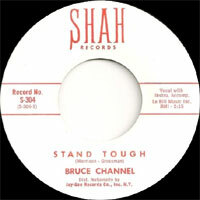 First released locally on Smith's label, it was picked up for national distribution by Smash. 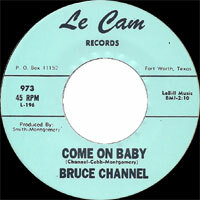 Channel would continue to write most of his own material (sometimes in collaboration with Cobb) for a series of moderately enjoyable follow-ups that echoed the riffs of "Hey Baby" too closely. 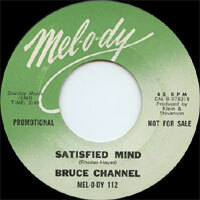 McClinton played his immediately identifiable harmonica on several of these, and made his own contribution to rock history in 1962, when he was touring as a member of Channel's band in Britain. 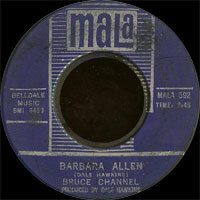 On one of their shows, they were supported by a then-unknown Liverpool group, the Beatles, who had yet to cut their first record. John Lennon was smitten by McClinton's style of playing, and picked up some pointers that he put to use on the Beatles' very first single, "Love Me Do"; in fact, McClinton's influence can be easily detected in Lennon's harmonica playing on many early Beatles tracks from 1962 and 1963. 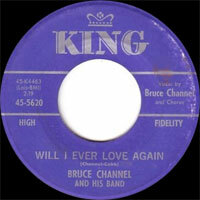 Channel did get another Top 20 hit in Britain in 1968, "Keep On," which was written by Wayne Carson Thompson (famous for penning the Box Tops' "The Letter"). Nothing else clicked in a big way on either side of the ocean, and by the late '70s he was working in Nashville as a songwriter. 196? SP BROWNFIELD BF-1038 (US) . Don’t Go /? 1967 SP MALA M12011 (US) . 1968 SP MALA 12027 (US) . 1969 SP MALA 12041 (US) . 197? 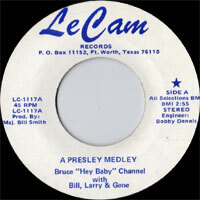 SP LE CAM 7277 (US) . King Is Free / ? 1976 SP NAP 6634/35 (US) . 1981 SP COLLECTABLES 1294 (US) .